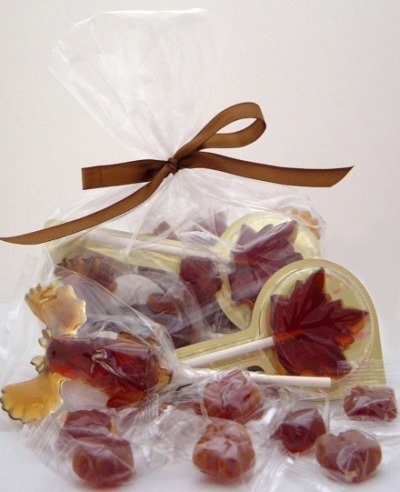 A Hard Maple Candy sampler - In this gift bag the recipient will find a wonderful sampling of hard maple candies; 4 moose-shaped lollipops (1.5 oz. 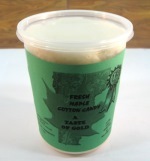 each), 4 leaf-shaped lollipops (1.5 oz. 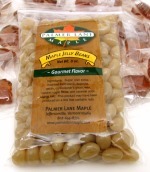 each), and 20 smaller individually packaged maple leaf drops (0.3 oz. each). There's enough candy here to last a long time, and it's packaged in a nifty gift bag with ribbon and your gift message tag.